AROnline takes a look back at some of the memorable automotive blunders in more recent times, both our own and from rival makes. The stunning 825 Coupe - A great car almost ruined. Sometimes, an automotive manufacturer drops a proverbial clanger by introducing a model in haste or born of misguided advice. Ever since its formation in 1968, British Leyland never failed to be in the news for all the wrong reasons, and industry insiders claimed that BL did in fact, inspire the BBC to create the Generation Game such was the level of utter chaos and comedic management. 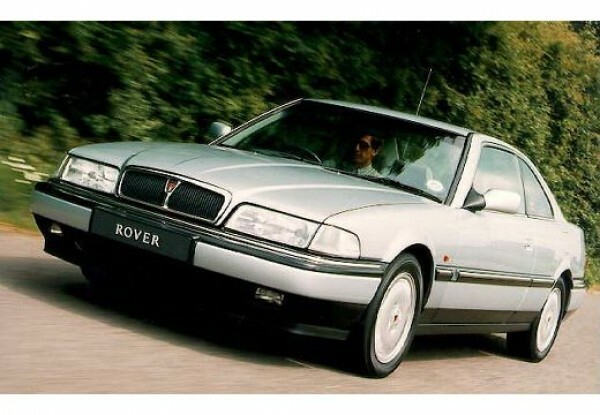 Hit the fast forward button on the old Ferguson Videostar to the mid 1990s, and surely lessons had been learned, or at least better quality or engineering would be present within the now German-owned Rover Group? Well, you would certainly think so and in fact there was some evidence of class winning vehicles pouring from the plants. Discovery 2 was a runaway success along with the MGF, and both deservedly so, and the other cars in the portfolio range were also a reality partly thanks to BMW pushing the green button so to speak. The close alliance with Honda came to a shuddering halt around this time and the D-series units found in 200- or 400-series became deleted, but what of the superb 2.7-litre Honda unit fitted in the Rover 800 – so fondly admired by the dealers, Police forces and owners all over the UK? Well Honda, not only hiked up the cost of supplying the engine, but also by the mid-’90s announced they would be deleting it. And to cap it off, BMW was getting tired of making royalty payments to the Japanese former-partner. It was a stunning engine which ran wonderfully well, along with the reliability you would expect of a Japanese V6. Rover had to embark on an engineering exercise to create its own replacement engine of a similar size eventually settling on a 2.5-litre design. This all new, all-alloy, quad-cam 24-valver was bang up to date in both design and manufacturing techniques, while also managing to look good under the bonnet. 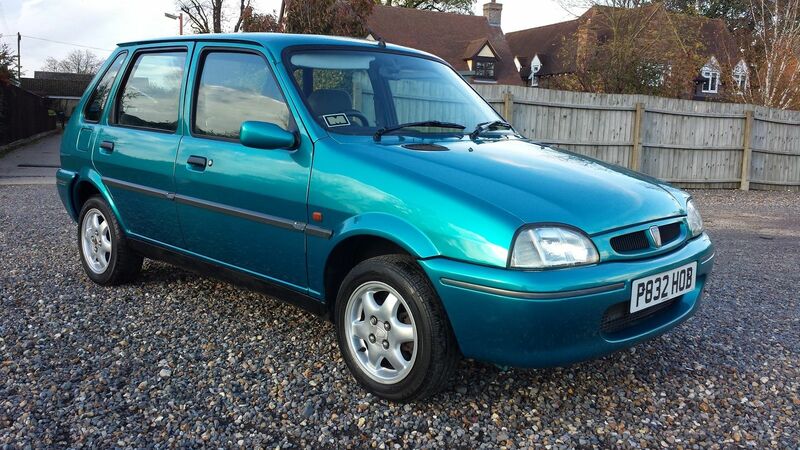 Offering 177bhp through a manual or automatic gearbox – so had Rover found its bite? At the heart of the 825, the new – engine called the KV6 – looked absolutely fantastic compared to the outgoing Honda plant. There was no messy wiring or tubes which spoiled the canvas after lifting the bonnet for a peep. In fact, nothing was really on show with everything hidden by a crafted high quality plastic acoustic engine cover. The KV6 featured quad camshafts, ultra lightweight castings, a trick inlet manifold featuring a variable intake system and a timing belt good for a staggering 90,000 miles. This stunning engine offered better torque, lower emissions, better fuel consumption and less weight – so in theory, the new engine roundly trounced the Honda unit – or did it? Some comparisons must be made with the Triumph Stag two generations back in the bad old British Leyland era, The KV6 was a truly beautiful engine to listen to and drive when they were on song. Smooth and as effortless as listening to The Carpenters, yet alive and aggressive like The Jam when required. Considering BMW was supposed to be in charge at this time, it seems criminal with hindsight that the engine was placed into production seemingly long before it had proved itself. Rover honoured the warranty claims against these engines which very often required a whole new power unit fitting – this lead to some truly horrific costs in both money and lost custom. The engine eventually found its true home in the Rover 75/MG ZT, and by the time the 75 was launched, revised castings, vastly improved quality control and a fully automated production line meant Rover pretty much had the engine sorted. Today, the KV6 is still held in high regard by many drivers and contrary to rumours, a well serviced and cared for 2.5 KV6 will run on for very high mileage with no fuss – just a kind of hush! After a dreadful start, the KV6 matured into a respected power unit, but the stigma remains. Here in Germany I’ve seen a service bulletin, that stated that no tries to repair 825 engines should be done in case of HG failure – a replacement engine had to be fitted. I suppose that those 5 or 6 825s remaining here in Germany all have had the engine replaced. A shame, as the engine – as stated above – is really a step forward over the Honda engine in all respects, particular smoothness, quietness and economy. Autocar said when they tested the KV6 in the 825 that it was a great engine, but a shame that it had to live in such a mediocre chassis. What was the real reason for hand building this engine?! If that was the intention, then they must have been bonkers! It would have been more credible if they’d said that the small build volumes didn’t merit the cost of robotic assembly. Very early engines used to snap cranks due to poor production techniques although it got sorted quickly,in contrast the honda V6 was a smooth engine and silent at idle but after a while due yo oil sludging the hydraulic valve lifters got noisey and customers baulked at the £38 each for all 24 of them! @ Kev – love the video – what a fantastic bingo caller / coach driver / Channel 5 gameshow host purple blazer he’s wearing! I miss the 90s! Nick Stephenson said that the KV6 could be taken out to 2.7 litres, but why did they bother hand-building the KV6 when ARG might just as easily have hand-crafted the 3.0 6R4 V6 unit? If they hadn’t flogged it to TWR, of course. 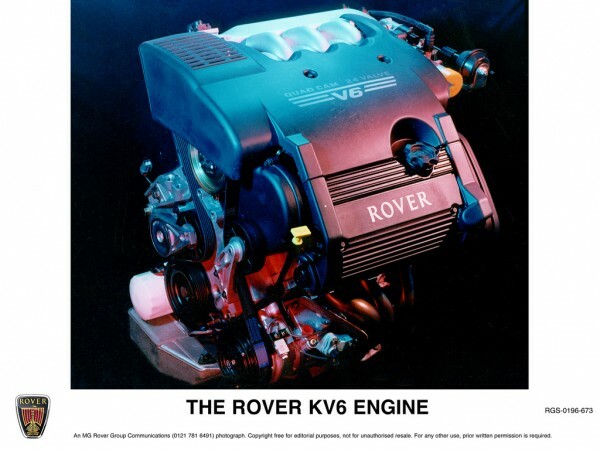 BMW made noises about building a 3.2 litre V6 for future Rovers – surely an admission that the capacity-restricted KV6 was a mistake, being as it was too bloody small for a prestige unit in an age when you could buy a 3-litre V6 Mondeo. Yup, the BMW-designed (Hamms Hall-built) NG6 was going to be Rover’s next power unit. @ Keith Adams. Was the engine used in anything else after the demise of Rover? The NG6 sound intriguing. What about the KV8, said to be 3.5 litres or so; I remember one at Gaydon with one of the museum staff saying it was part developed by Porsche for Rover, is that true? That said what on earth would a unit like that be good for in the 90’s on? I had a ZS180 and it was electrifying easily on a par with an impreza on handling as for a bmw 3.2 why bother? Why not turbocharge the KV6? As is the norm today-small capacity high power low co2 and probably low torque!well alas its too late now,in any event it was a fine engine in the end,of course the odd porous head,water elbow and manifold apart it was good.As for the 90 degree configuration its a happy medium to quell 2nd order imbalance I suppose- vw had a hell of a time balancing the VR6/5 (vee reinemotor- v-inline) and as the video shows the KV6 was quite short,ARG did a great job. Does it matter what an engine looks like? It spends most of it’s time under the bonnet! From Wiki, Kia who also used the KV6, also had problems with it and also had to replace engines! I recall driving quite a few early 825’s when I worked for British Car Auctions. By comparions to the later KV6’s I always thought it felt a bit unrefined. 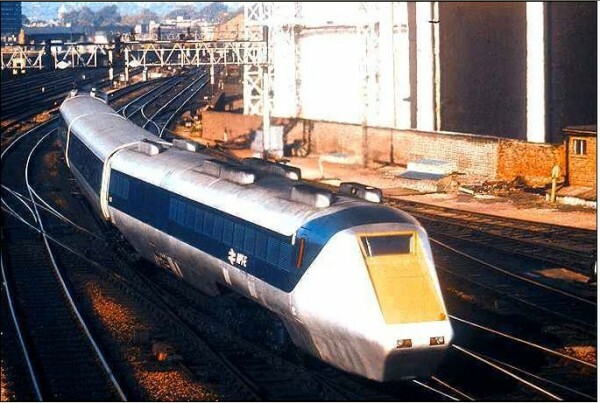 Vs the Honda unit it was definately better in some respects such as torque which was one of the problems SD1 owners found out about when they traded in the SD1’s for 827’s. I have to say that while I always liked the look of the later 800 models as a car to drive it was never a car I looked forward to driving. The handling, steering and brakes were all rather below par in my experience and ergonomically a mess. They had comfy seats but the ride was nothing special. There must be virtually none left now, I can’t remember the last time I saw one. My very late V registered Sterling Coupe was KV6 and it provided superb service never missing a beat in the 3 years and 80k miles that I owned it. I think by that time most of the issues had been ironed out. In the 75 / ZT the KV6 is a very fine engine indeed. I do know of owners of P,R and S plate 800s that had a nightmare with them. @16 those were built under license by kia and renowned for poor castings. There’s an 825 here today among a lot of other very cheap cars. Also a Ford Ka with group 2 insurance, but that belongs in the Top 10 AR Bangernomics discussion. I’ve seen a Rover 45 2.0 V6… BRG with magnolia hide. Looked quite classy, was being driven by an elderly gent. The KV6 does have a lovely note to it, I like the engine itself, but I’m not keen on bits fitted to it like the inlet manifold, replacing the cambelt, and most importantly, the post 2001 KV6s both ending up in one of the highest VED brackets, something I’m not keen on for a 2.0 engined car. Yes, the high VED will kill the KV6 before HGF does. Sad. I’m on my THIRD inlet manifold on my 52000 mile Mk2 ZT190,and it has twice overheated on me, so I’d hardly call it a paragon of reliability. Luckily the first manifold was under warranty but the latest one just cost me 550 quid, plus fitting! (2 hours) I’m thinking of buying a job lot. The KV6 does indeed sound wonderful, when it’s actually working, otherwise mine sounds like an old Chrysler Horizon. It’s also horrendously thirsty compared to say an Alfa 2.5V6, and they have an awful throttle response. Couple it with a badly built car in general, and I wouldn’t reccommend to anyone I liked. Sadly. The inlet on my 2.0 75 made a Talbot engine sound quiet, however the clutch failing kind of put paid to me bothering to fix it, sold it for spares repair as I really couldn’t be bothered with replacing the clutch and the inlet, so I’m wary of buying another unless it had had belts done and the VIS motors worked fine and there were no unpleasant noises from the inlet. Obviously if it were fitted in a 75/ZT it would have to be mated to the autobox, I’d happily have a manual ZS180 tho. 800 KV6 HAD A MUCH BETTER QUALITY METAL MANIFOLD BUT EVERY ENGINE WOULD HAVE THE HEADGASKET FAIL. THE FACTORY WOULD GO ROUND THE OWNERS ADDRESS TAKE THE CAR AWAY AND FIT A HYBRID 800/75 MULTI LAYER HEADGASKET ENGINE. ROVER 75 HAS A COSWORTH BLOCK, MULTILAYER HEADGASKET AND AIR CRAFT SPEC ALUMINUM SUMP. KV6 HAD STEPPED CRANKPINS LIKE HONDA 827 TO SMOOTH FIRERING ORDER. So yours was rubbish too. You sold it for spares. I’ve just had to buy two new headlamps aswell on Ebay from a lovely guy in Bristol as mine have totally clouded over and are beyond repair, for 400 pounds, (they wanted 700 from Rimmers) aswell as another manifold! And yet.. What is it we love so much about these rogue bangers to keep them alive. It’d never happen with a BM or some such but we somehow still love them! My 89 XJS V12 hasn’t put a foot wrong in three years. Now that’s engineering. What an awful waste of time and money. Rover had a wonderful V6 engine back in the 80s and sold it to TWR. It could have been built on the same line as the Rover V8 and was fundamentally sound and robust. It’s a rerun of the old Stag/Rover V8 fiasco. Oh the poc at the top.. is an 827Coupé! Silly question, but if the reason for it’s existence was due to BMW taking over and Honda hiking up it’s prices accordingly, why did they not shoehorn a BM engine in? Not in a transverse FWD, not easily, not without significant reworking of the structure. Very old post I know…the facelifted engine used in the later applications was significantly re engineered which got rid of some of the issues. Clearly there were plenty left tho! I drove lots of KV6 Freelanders & they were terrible. Incredibly thirsty & no real quicker than a K1.8 or an M47r diesel engined one. To illustrate the point the standard damping factor on the fuel gauge was such that on full bore usage the car would run out of fuel with a quarter of a tank still showing! 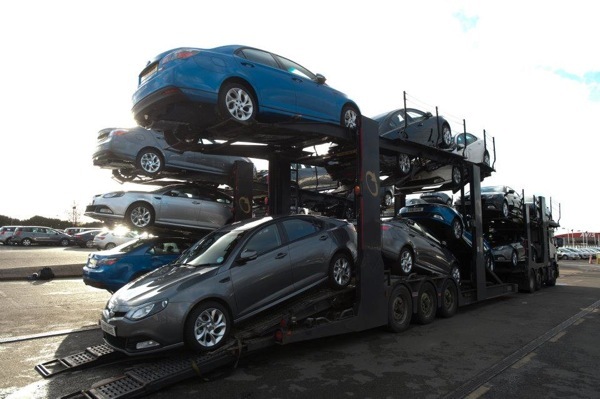 Driven with a heavy foot low teens mpg was usual – similar to a V8 RR or Disco but you would have made much quicker progress in either of those! To add a little perspective though I had a small lightweight kit car which used the ZS180 setup mid mounted. As the car was around 825kg & very compact the KV felt completely different! Mountains of torque & unbelievable flexibility with reasonable (mid 20s) mpg. Can’t help thinking a 2.5 or even better 3.0 v6 Duratec from a Mondeo would have been a better bet though. Not without their issues but less troublesome than the KV & without the nightmare cambelt setup. Noble proved they don’t mind a bit of boost either! As others have commented, I completely do not understand the point of this – Why not just develop the Buick/Rover V8? Lop off two cylinders and build it on the same line, all alloy, light, bullet proof and greater capacity. In Australia the Kia Carnival KV6 broke some records for warranty claims.